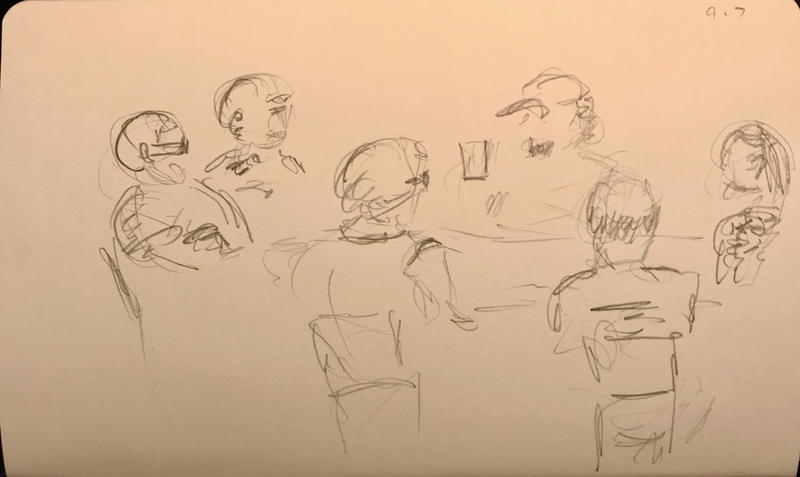 This entry was posted in Personal Stories and tagged art, artistic process, book club, characters, creative process, creativity, group portrait, pencil sketch, portraiture, sketch. Bookmark the permalink. I think you captured this group really well, and your feeling about it and your enjoyment comes through. Yes, this one woman was really cute. She read a poem that had the words ‘peanut butter’ in it. I couldn’t see the whole table from my vantage point which is why the figures seem disconnected.